NBRC PhD and MSc Admission will be done through JGEEBILS/ JEST/ GATE entrance exams. The National Brain Research Institute (NBRI) invites candidates for admission into its various courses, commencing in 2018. Candidates have to fill the application form to get admission in PhD and MSc programs of NBRC. Those candidates who have already applied/ are applying through JGEEBILS / JEST / GATE channels, need to apply separately (without separate application fee) through the External Fellowship Channel also, to be considered in both the channels. The application process for NBRC PhD and MSc Admission 2018 will be begun in the last week of October 2017. About NBRC: Established in 1997, the institute has been a national leader in helping fellows into the complex human nervous system. The sub-specialities of Neurology, the institute imparts knowledge and researchers in the range from the theoretical understanding of the nervous system to non-coding RNAs. Candidates must have a Master's degree or equivalent in any branch of Science such as Life Sciences / Physics / Chemistry / Mathematics / Statistics / Computer applications / Pharmacy / Veterinary Science / Psychology from a recognized Institute / University or a minimum of four-year Bachelor's degree or equivalent in Engineering / Technology / Medicine from a recognized Institute / University. Candidates must appear and have a valid score card of JGEEBILS 2018 / GATE 2017, 2018/ JEST Examination. Candidates qualified in CSIR / UGC / DBT / ICMR (JRF) Examination with Biology/ Physics/ Chemistry/ Mathematics can apply for Ph.D program. Candidates with at least 55% (50% for SC/ ST/ PH candidates) marks or equivalent grade or grade point average from secondary (10th) examination onwards will be considered. Candidates should calculate their percentage up to two decimal points to determine their eligibility. Candidates must have a Bachelor's degree or equivalent in any branch of Science such as Life Sciences / Physics / Chemistry / Mathematics / Statistics / Computer applications / Pharmacy / Veterinary Science / Psychology / Engineering / Technology / Medicine from a recognized Institute / University. Candidates with at least 55% (50% for SC / ST / PH candidates) marks or equivalent grade from secondary (10th) examination onwards will be considered. Candidates must appear and have a valid score card of JGEEBILS examination. Offline Procedure: Candidates can also fill the application form for PhD and MSc program through the offline mode. The offline candidates have to obtain the application form from the NBRC. To obtain the NBRC MSc/PhD Application Form, candidates have to send a self-addressed A4 size envelope to the address below. The last date for receipt of requests for a hard copy of the application form is 15 February 2018. The application form for NBRC PhD and MSc program can be submitted through both online or offline mode. Both modes for application form submission are described below. Online: Candidates who have the internet facility can submit the application form through online mode. Candidates should click on the above-mentioned link to fill the application form online; after filling all details in the online application form, candidates have to click on the “submit” button for final submission. Candidates should check the filled application form before final submission. Offline: Candidates who don’t have the internet facility can submit their filled application form through offline mode. Candidates have to send their filled application form in self-addressed A-4 size envelope to the address mentioned below along with the correct amount of application fee in the form of Demand Draft by post/courier. The offline applications must reach the institution by 15 February 2018. The application fee for NBRC PhD and MSc program can be paid through online mode. Candidates can make payment of NBRC Application fee through SBI Collect facility using Internet banking, Credit cards or Debit cards. The candidates have to write their names and program applied for on the back of the Demand Draft. JGEEBILS / JEST candidates should write their Reference Code / Registration No. also on the back of the Demand Draft. GATE candidates should write their GATE Roll Number with the year of examination also on the back of the Demand Draft. CSIR / UGC / DBT / ICMR (Biology / Physics / Chemistry / Maths) (External Fellowship Channel) candidates should write their Roll Number with the year of examination also on the back of the Demand Draft. Candidates who have already applied/are applying through JGEEBILS / JEST / GATE channels, need to apply separately (without separate application fee) through the External Fellowship Channel also, to be considered in both the channels. NBRC PhD and MSc Application Fee can be paid in online as well as offline mode, The candidates applying for NBRC PhD and MSc Admission have to pay the fee as given in the table below. The selection of candidates is based on the eligibility criteria and performance in competitive exams i.e. JGEEBILS/ GATE 2018/ JEST 2018 or qualifying CSIR/UGC/ DBT/ ICMR examination for Junior Research Fellowship (JRF). Shortlisted candidates will be notified via email. The selected candidates will be called for two-tier interview (one after the other) that will be held at the NBRI campus in Manesar, Haryana. The selected candidates for admission in PhD and MSc program of NBRC will be provided fellowship grant. The amount of fellowship grant for both programs is mentioned below. 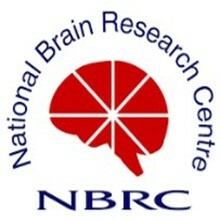 PhD: NBRC offers a PhD programme in Neuroscience. Students from diverse academic backgrounds are considered for this programme. Fellowship for Junior Research Fellows is Rs. 25,000 per month and for Senior Research Fellows Rs. 28,000 per month. MSc (Neuroscience): NBRC is one of the few Institutes in the country to offer M.Sc. (Neuroscience) degree. Students are provided with a fellowship of Rs. 12,000 per month.